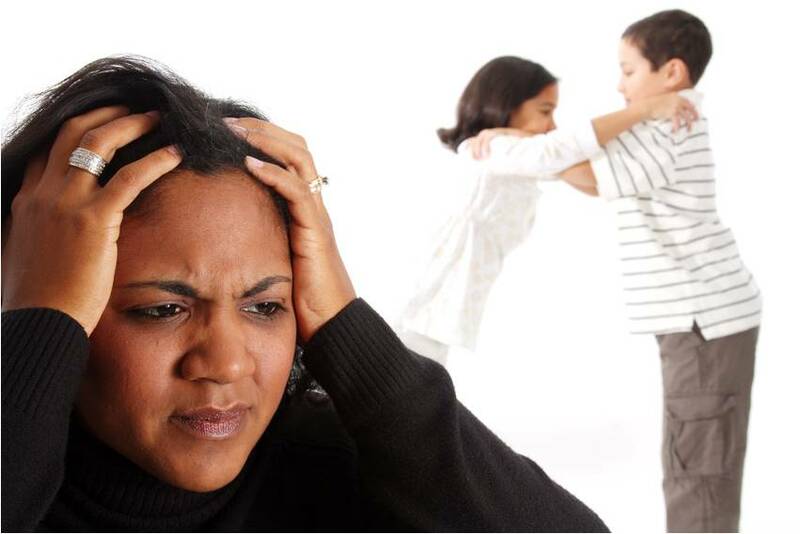 On May 29th, the Pew Research Report on Breadwinner Moms came out and it caused a firestorm of controversy. 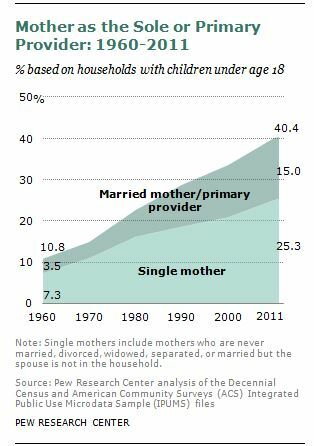 The mere fact that the percentage of households with breadwinning moms went from 11% in 1960 to 40% in 2011 was enough to make the world take notice. Every media outlet was declaring the rise and dominance of the alpha female. But, having read that report in its entirety, there are a number of things the report did not cover. It didn’t discuss the quality of life lived by families where the wife is the breadwinner (socioeconomic status, quality of life, marital and familial satisfaction). It didn’t dive deeper into what support and resource measures are required to help young, single, never married mothers do a better job of providing for their children. It didn’t look further into the disparity between the percentage of people under 30 who felt that women breadwinning in a marriage or family was no issue versus the increased number of people in their 30s and 40s who felt that it was (hint: maybe it’s because most under 30 aren’t married with kids yet and most in their 30s and 40s are… #justsayin). And the Pew Report provided no concluding thoughts on where the discussion needs to go next, how to create a paradigm shift for the 40% of households where mom does run the show, and how husbands and wives can embrace the new experience of family life without losing their identities and sense of purpose in the relationship. The Pew Report was a starting point but it’s not a report that you look at and cry, “Return women to the home!” or yell, “More power to women!” This is a much more complicated issue than either of these proclamations can even grasp. What we need now is a bigger conversation, a deeper dialogue, one in which we unashamedly and fearlessly open our mouths and our lives to the realities of what it means to be women breadwinners in a world that still doesn’t fully embrace the idea. It’s time for husbands to rally with their wives and openly discuss the good, the bad, and the ugly of being Mr. Mom, Mr. Desi Ball, the husband of Sandra Bullock, or Reese Witherspoon’s sidekick. We need to talk about the phenomena that happens all too often when a woman rises in her career… only to find her marriage falling apart at the seams. We need to get into the discussion about why some men can’t hang with a powerful woman… even though they’d met her before the altar… and why some women lack the tools and skills necessary to embrace their divine feminine side and wind up feeling like the “man” when there’s a time to be the woman, not the boss. on Women Breadwinners isn’t telling you?